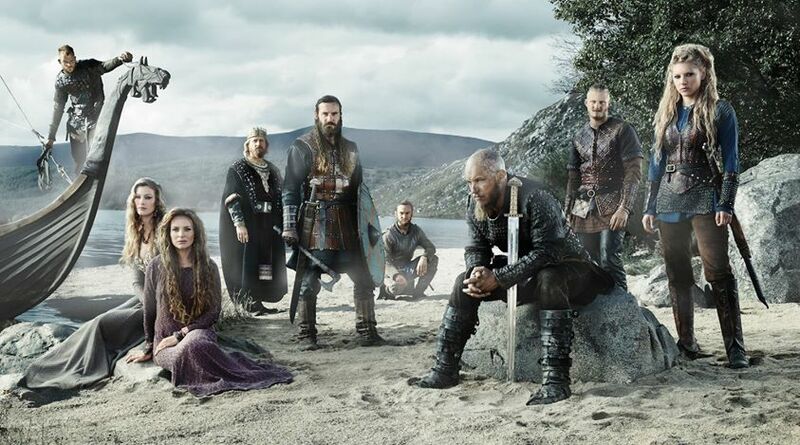 The History channel’s VIKINGS returns for a third season tonight, and boy does it start off on a high note! Ragnar’s (Travis Fimmel) people are anxious to get back to England, and as spring approaches, their King sets sail for the more civilized land. Upon arrival, King Ecbert (Linus Roache) does give them the farmland promised, but he also has a favor to ask, and his eye is on one of the savages. The season premiere, titled “Mercenary,” really highlights the differences between the English and the Vikings. The English naturally think they are better than the non-Christians, assuming that since the Vikings don’t pray to the same savior, they are unevolved. We can see at a dinner held that these Englishmen consider themselves above the others, and feel they are manipulating them to their advantage. The Vikings, for their part, have their own gods and beliefs, as we see when Lagertha (Katheryn Winnick) consults The Seer (John Kavanagh) at the start of the hour, and think the English ways are stuffy and ridiculous. The warriors feel they know better, and are only willing to help the English in as much as it suits them. This is obviously heading for a serious split, but that doesn’t come in “Mercenary.” Instead, Ecbert’s people are united with Ragnar’s in helping Princess Kwenthrith (Amy Bailey) win back her crown. 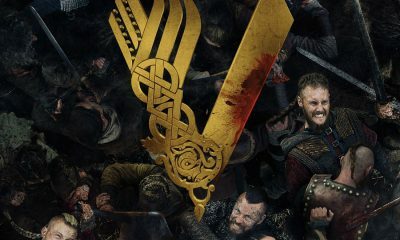 Thus, Ecbert’s English benefit from the Vikings’ tactics when the large battle late in the episode comes to a head, the Vikings showing a different stripe than either group of English, who operate by tradition and ceremony, expect. The battle is probably my favorite part of “Mercenary.” It’s intriguing to examine the differences in the people and the personal drama going on, but sometimes bloody sword battles are most welcome. After a slow burn through much of the episode, it feels earned when the forces finally engage. There is an interesting moment at the end where Ragnar’s face turns unexpectedly. 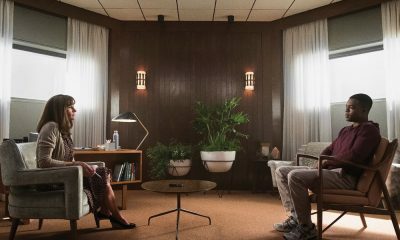 If you haven’t watched the episode yet, you’ll see what I mean when you get to it. It makes me wonder how happy he is. He clearly isn’t well-suited to be King; he likes the power, but not necessarily the responsibility or airs. But there’s a bit where he might finally see himself as the English do, he always being particularly empathetic towards others, and it begs the question, how much will Ragnar change? In the past, he’s only been willing to go so far, but as VIKINGS pushes on, that could shift, for better or for worse. Ragnar isn’t the only restless one in “Mercenary.” Athelstan (George Blagden) might not be satisfied with his position. He gets quite chummy with Ecbert, and while he expresses continued loyalty to Ragnar, his interests are starting to seem divided. It makes sense for him to want to go back to his people, especially when he’s made to feel needed and accepted by the king. And there are others feeling off. 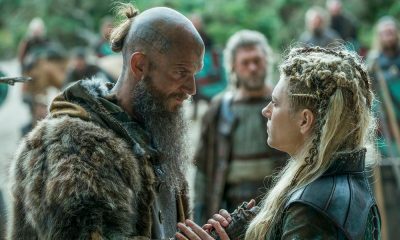 Floki (Gustaf Skarsgard) is much displeased to be with wife (Maude Hirst) and child at home, feeling things are too peaceful and happy, thus luring him into getting too comfortable. 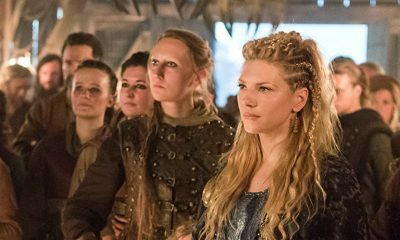 Bjorn (Alexander Ludwig) isn’t too pleased that his woman of choice, Porunn (Gaia Weiss), takes after his mother, not content to stay at home, instead riding into battle alongside him. Aslaug (Alyssa Sutherland) doesn’t look too happy to see Ragnar sailing off with his ex, Lagertha, as she stays behind with a crippled child that is a source of discord in their marriage. Aslaug needn’t worry, as Lagertha stays behind when Ragnar goes to war, and seems to have a new love interest in King Ecbert. Ecbert likely doesn’t understand the shield maiden, no matter what he thinks, and I don’t see any lasting union between them. 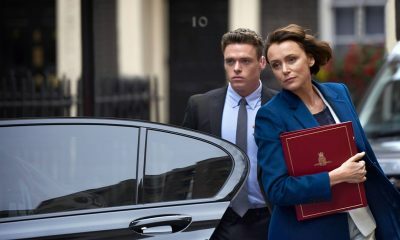 But it’s a fun little side story, and it likely will be enough to distract her as a turncoat, Kalf (Ben Robson, Dracula: The Dark Price), prepares to betray her. “Mercenary” has a lot going on, and while there are slow parts, especially early in the hour, overall this installment holds up to the quality storytelling one expects from Vikings. It may not be historically accurate, not surprising, given how few formal records were kept of these people, but it is entertaining. 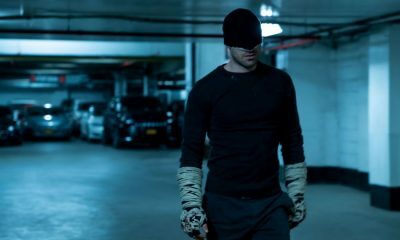 The world of the show is ever-changing and expanding, and that only draws viewers deeper into the action. 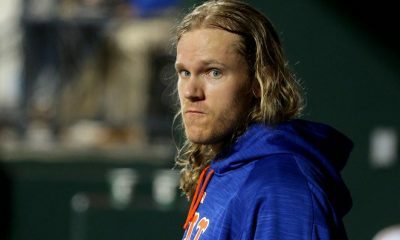 Vikings airs Thursdays at 10 p.m. ET on History.